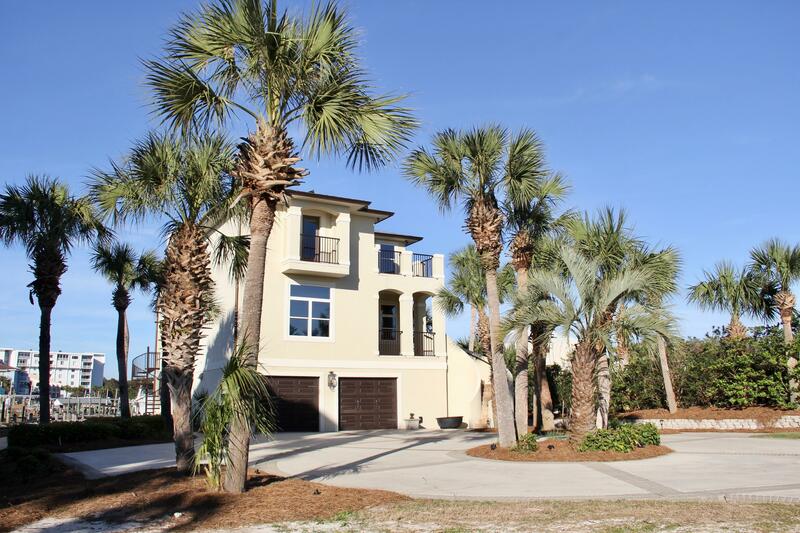 New construction, perfect for the water enthusiast. Gorgeous 2-story, 5br/5. 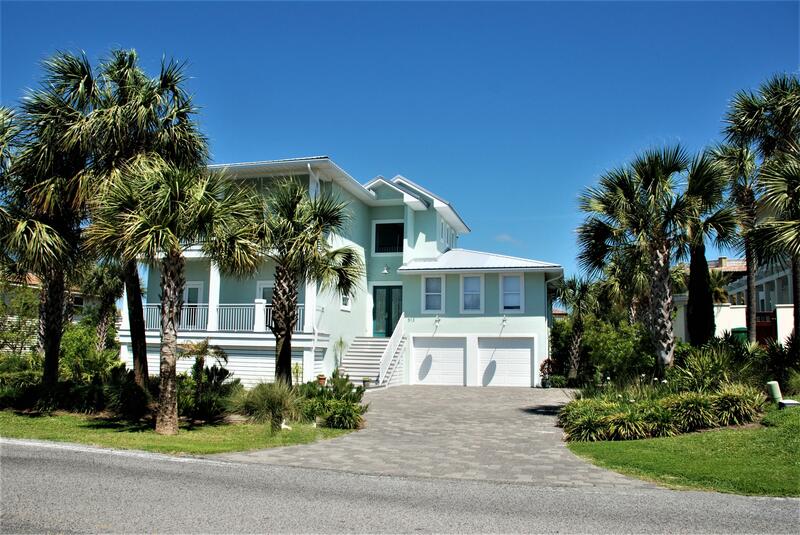 5ba home located on one of the largest lots on holiday isle. 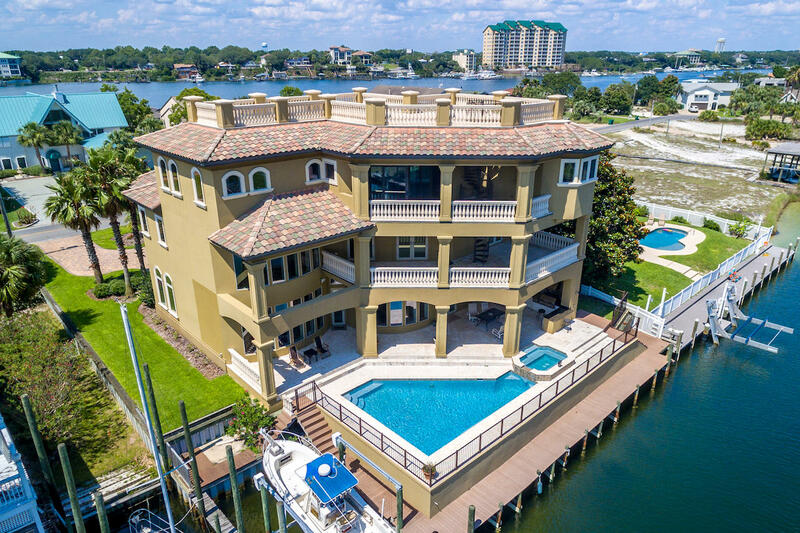 This home has the largest homesite slip on holiday isle at 57ft x 35ft, which can accommodate a 75ft yacht with room for a boat lift/jet ski. Other features will include an inground pool, spacious outdoor living area, & 2 garages. Inside you will find 2 master suites, 3 additional bedrooms, upstairs loft/bunk area, & a great room. Inside amenities will include wolf/sub zero appliances, quartz countertops throughout, 9'' plank hardwood throughout, central vacuum & upstairs/downstairs washers and driers. Built with cedar & stucco siding, spray foam insulation, & moisture proof sheetrock, no detail was left out. 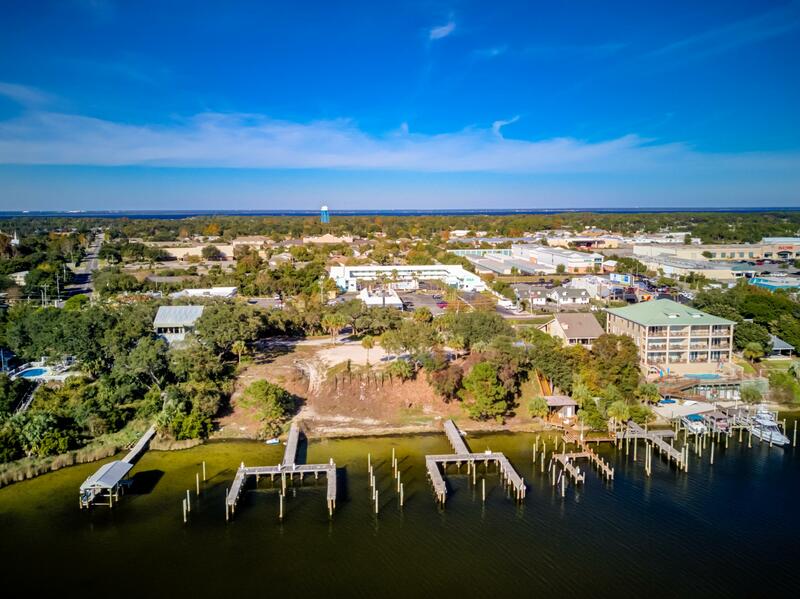 Just minutes from the beach, harbor & gulf. 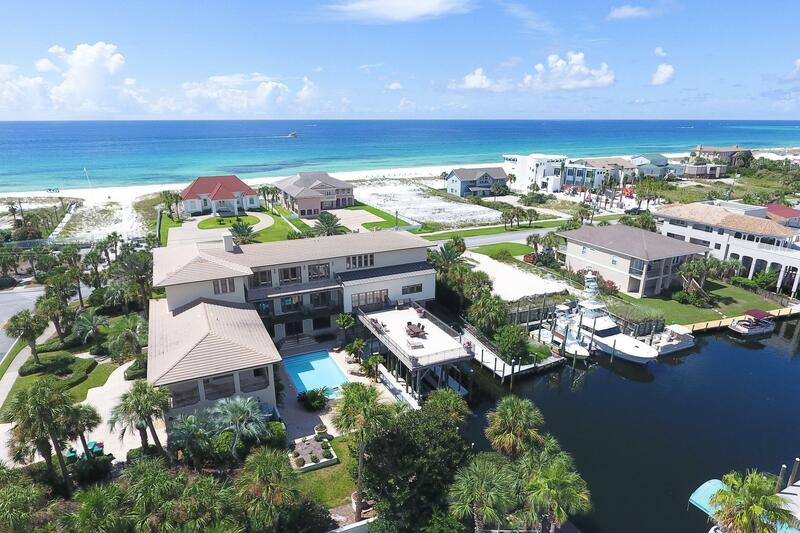 This amazing waterfront estate sits on the destin harbor and has 4 boat slips, 2 lifts with 28000 lb capacity, a pad for a jet ski and a cleaning station for all the fish you catch slips can hold up to a 40' + boat. Large brick paved patio, trex decking and seawall was repaired with new tiebacks and rods in 2018. 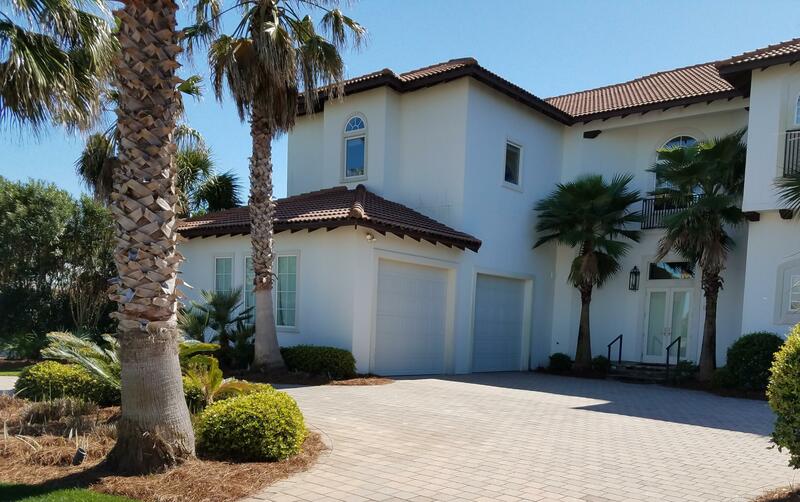 Home features 5 bedrooms and 4 baths and is fully furnished. First floor could be a mother-in-law suite or separate lock-out apartment with an entrance from inside or outside. There is a murphy bed, living area , kitchen and bathroom with a walk-in steam shower with tiled flooring throughout. Granite countertops in the kitchen and stainless steel appliances. 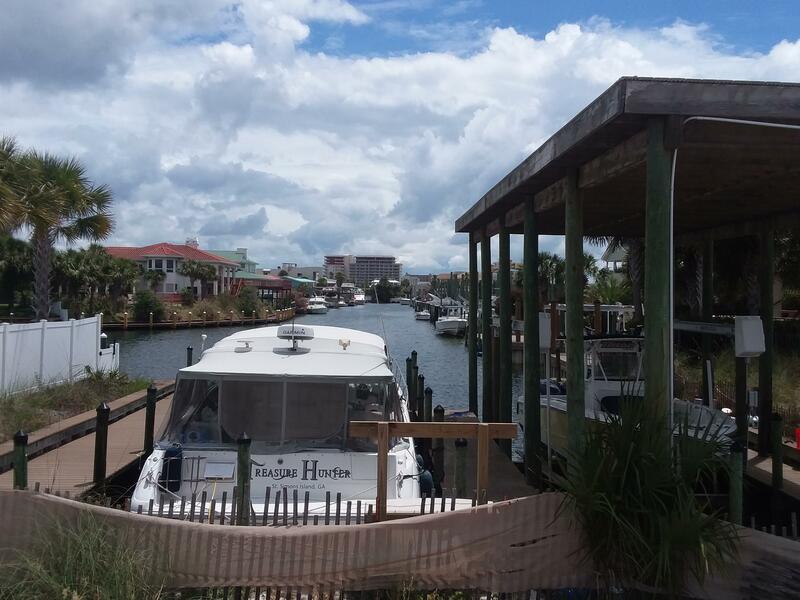 This custom-built, canal-front beauty is the perfect place to store your boat and enjoy the perks of living on the water in the heart of destin. 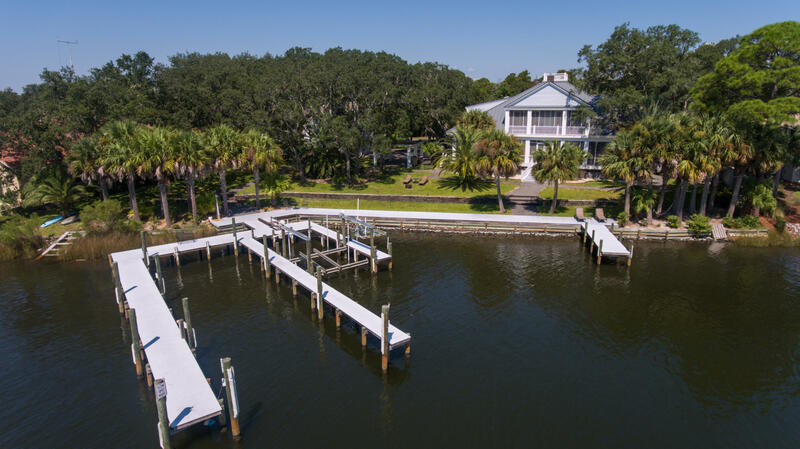 Watch the fireworks from multiple balconies and enjoy the 75ft dock and boatlift that accommodates up to a 30ft boat. 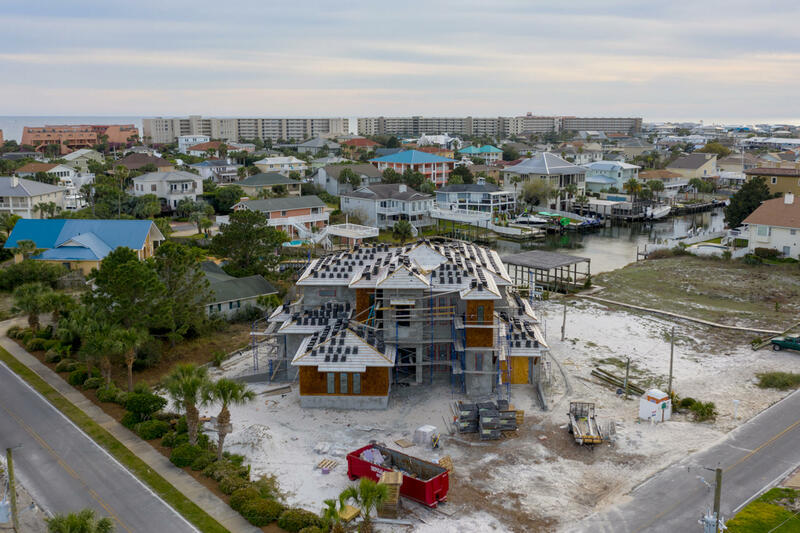 The fabulous heated salt-water pool, hot tub and outdoor living area, complete with built-in grill and coral stone pavers, complement the outdoor lifestyle. 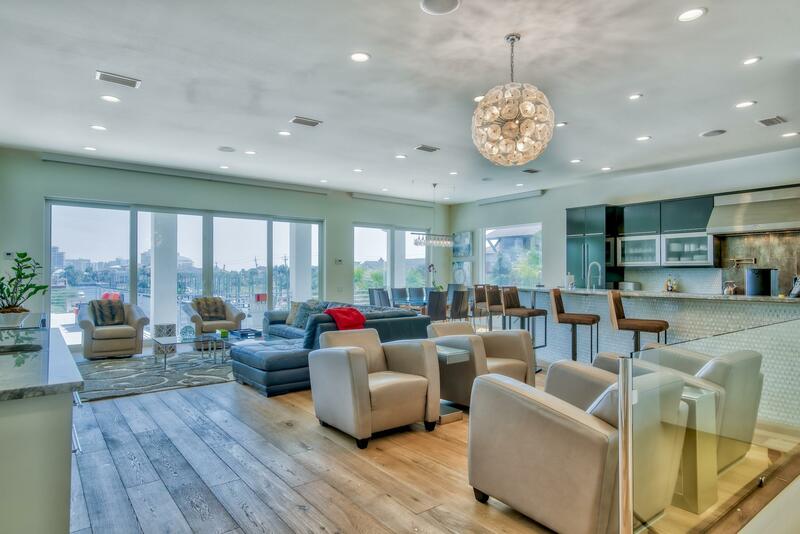 As you walk through the custom wood doors, you are greeted by a double row of curved, canal-front windows extending the height of the 22ft ceiling. Imported marbella shell stone adorns the floors, while painted coffered ceilings add architectural interest. The dramatic gas fireplace encased by built-in cabinetry and beautiful surround extending to the ceiling is a focal point.